Should The Knee Go In Front Of The Ankle In Yoga? David explains when it’s okay for us to place the knee in front of the ankle in poses like side angle. He also explains when the knee is most vulnerable. What Are The Risks Of Hyperextending The Knees In Dandasana? This month David answers the question: What are the risks of hyperextending the knees in dandasana? David explains why there is usually little risk to the knees from hyperextension in dandasana. Knee Injuries in Yoga: When Are Your Knees Most at Risk? 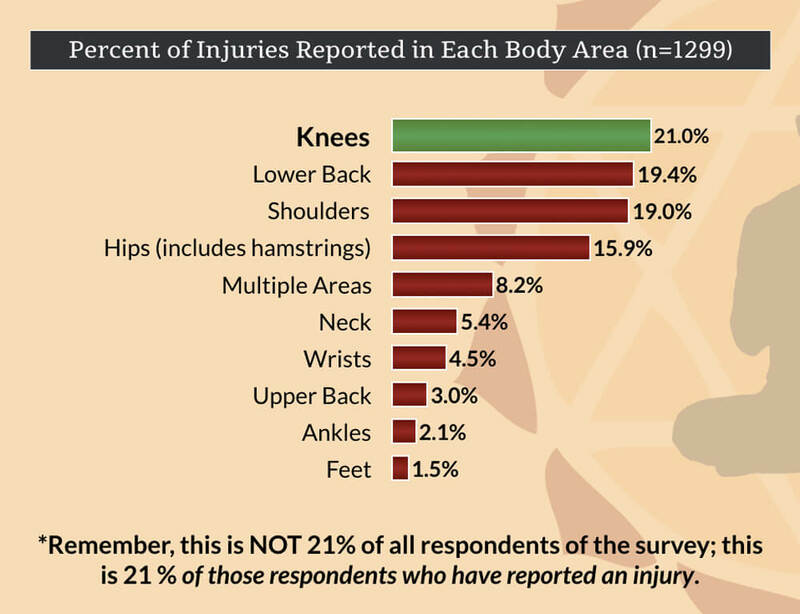 When are yoga practitioners most at risk for knee injuries? David reports on the experiences of our survey of 2000+ practitioners regarding knee injuries in yoga and injuries in lotus-type postures. Gender and Yoga Practice: Is There Any Relationship? Is yoga practice different between genders? Our survey shows more similarities than differences in yoga practice experience between genders! 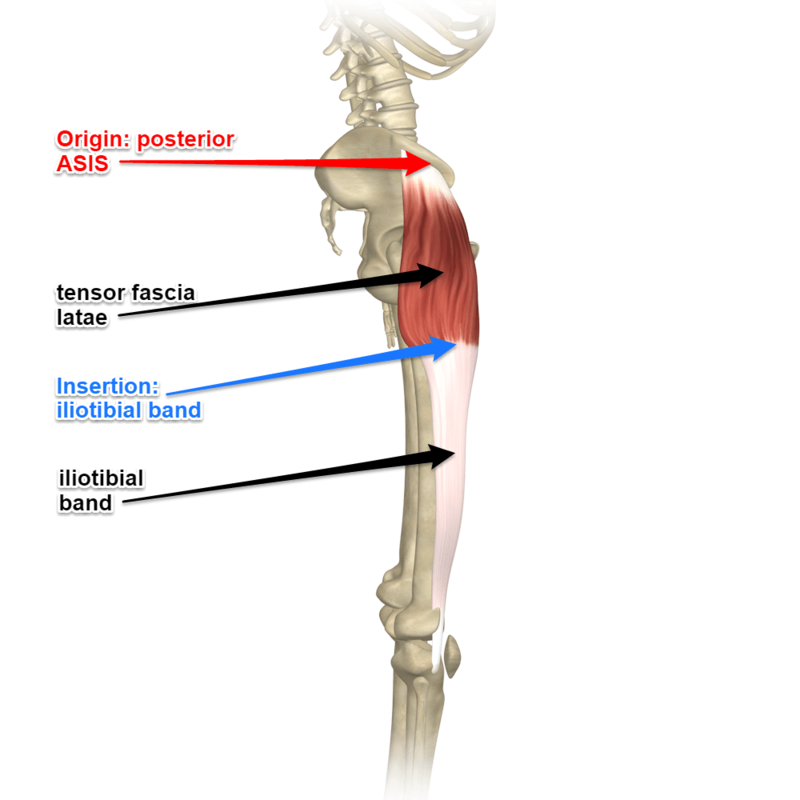 This month I’m highlighting a unique muscle, the tensor fascia latae along with its related structure, the iliotibial band. This is one of the muscles responsible for abduction at the hip. 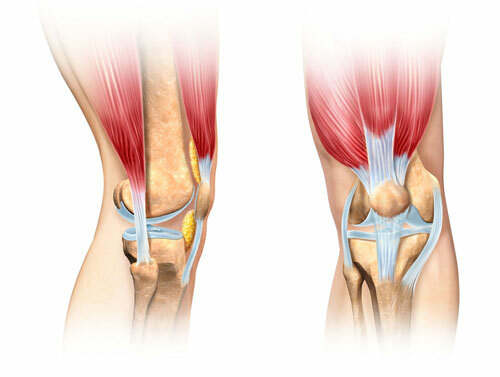 It can also affect movement at the knee through its connection to the iliotibial band. Take a look at where this muscle attaches, what actions it does, and how it is used in yoga practice. Why Is Doing Lotus Pose Upside Down Easier? I currently have left medial knee pain when attempting full lotus pose so for now I only take things as far as half lotus pose. (Smart). When I lay on my back with knees bent, I am able to bring my right foot to half lotus then slowly bring my left foot into full lotus. I feel no pain in supine full lotus but only a slightly tighter left knee. My biggest issue with the current discussions regarding injuries in yoga is the desire to make things measurable and compartmentalized. I know, there is no way around this. We have to talk about the parts and pieces to some degree so that we can understand it all. The place where this happens regularly is in the mixing of yoga and asana as if they are the same thing. Women’s Flexibility a Liability (in Yoga) ??? 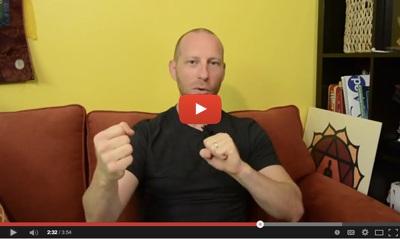 Here I discuss the recently published article by William J. 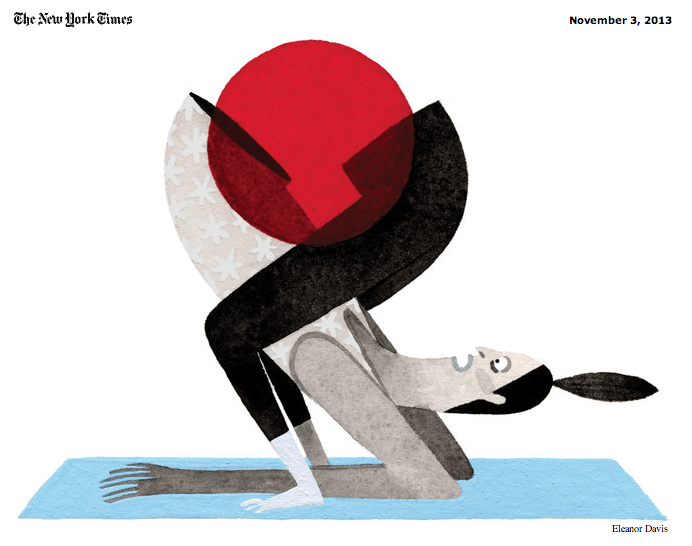 Broad in the New York Times, titled Women’s Flexibility Is a Liability (in Yoga) which provoked a strong response from many in the yoga community. It is disheartening to see the New York Times come out with yet another article that seems to completely miss the point of yoga. I think this one is worse than the last, which described a woman going to yoga and eventually realizing that cross training would lead to smaller sized clothing than if she only did yoga. I can only imagine how these NYT articles are put together and why. Picking quotes and statistics that fit the agenda of the author perhaps? What is the point exactly of this article, to warn people to not try or practice yoga? Is it to break up certain myths surrounding yoga? What does this really say about yoga injuries? The basic goal of all the asana practice is finding and maintaining a comfortable padmasana (lotus pose) for meditation. There are a few key anatomical components and principles to finding this comfort. The foundation of the pose is the crossing of the legs and “sit bones” comfortably on the floor. With a firm foundation we find an upward energy and lift in the spine, which eventually becomes effortless.